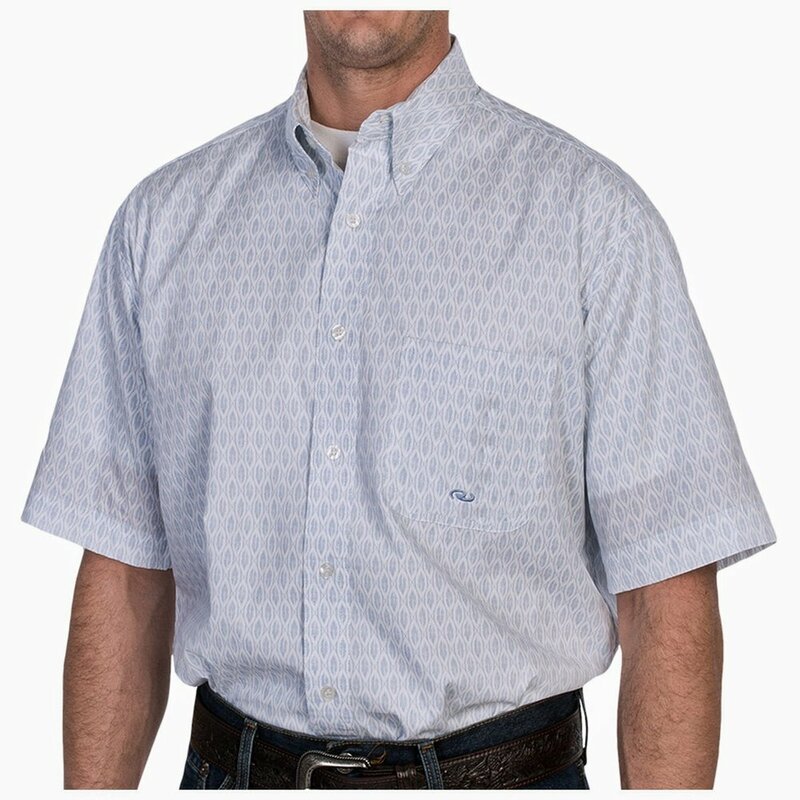 Since summer is in full swing and t-shirts aren’t always appropriate, here’s a look at some fitted short sleeve shirt options and what to look for when shopping. 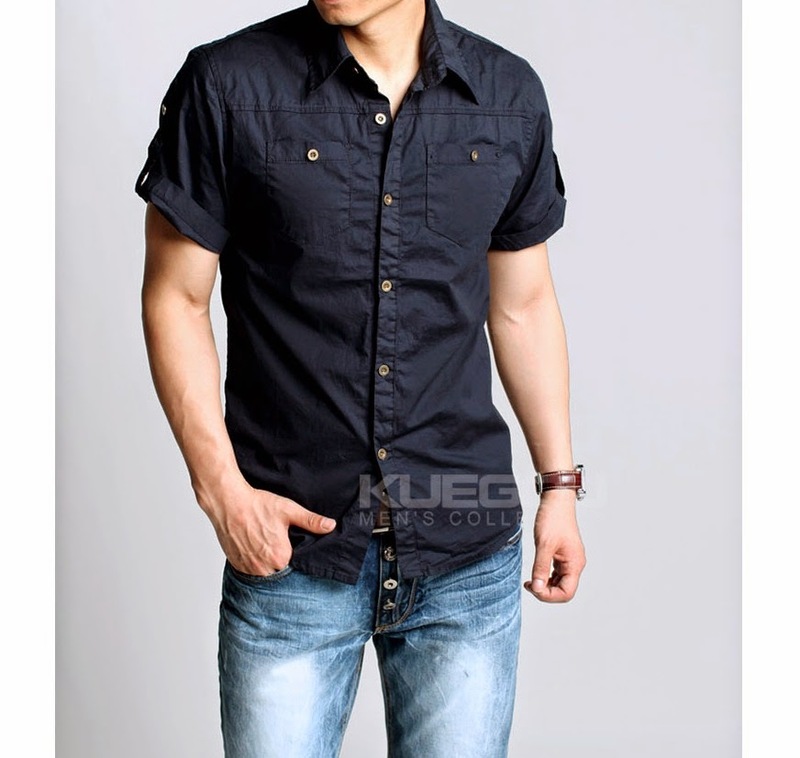 The casual short sleeve button down is one of the most versatile pieces you can own. It goes from the beach, to the bar and to work if you’re lucky enough to have a loose dress code. Today’s short sleeve button down is a more fitted, tailored cut, but to clarify, fitted doesn’t mean tight. Here’s what I mean; This shirt is too billowy, boxy and baggy in the torso, the sleeves are too long and wide and it’s visually adding pounds to him. Since the shirt is oversize, it’s making him look bigger than he really is. Here’s another example; If you’ve got a bit of a gut, you probably think that wearing oversize shirts are concealing it, when in fact it’s doing just the opposite and making you look heavier. First of all, you should be doing something about your gut, and secondly, try to size down. You might be surprised. If you’re mormally a XL, try a Large. If you’re normally a Large, try a Medium. If you don’t like the fit, don’t give up. Go to another store and try again. Here’s a larger guy wearing a baggy shirt and then a smaller, more fitted size. Full disclosure: I’m not sure if this is the same guy, but it’s close enough.. you get the idea :). With the more fitted shirt, the sleeves are shorter and narrower, the torso isn’t as billowy and it’s overall shorter in length. It’s instantly slimming. 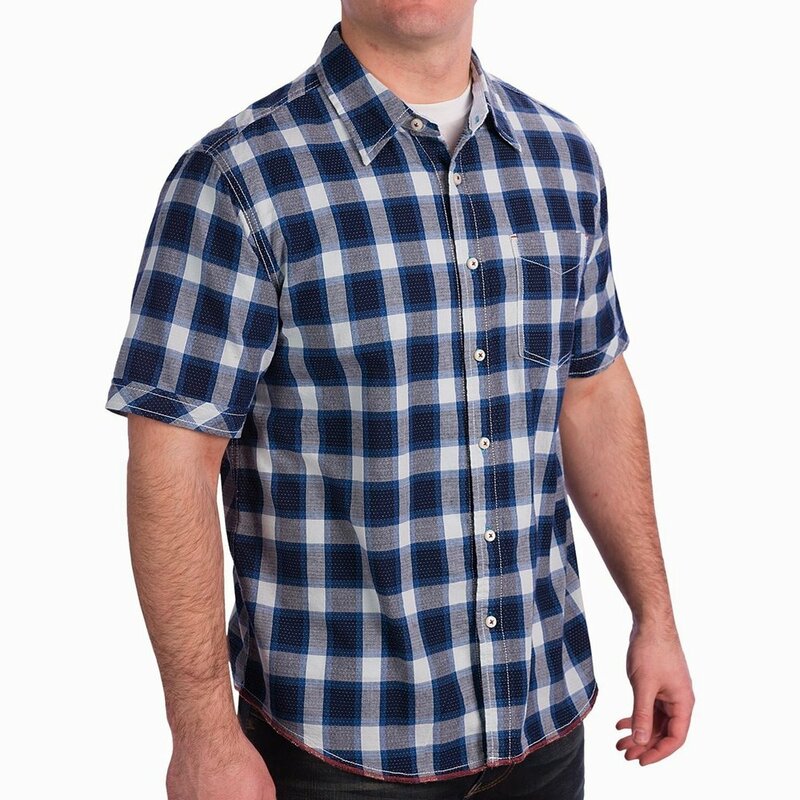 Go out and try some fitted shirts and remember to also try sizing down. If you’re concerned about it shrinking, wash in cold and hang dry. If you’re a bigger guy, look for solid colors and small, tight patterns. Also, don’t be afraid of color. Here’s some examples.